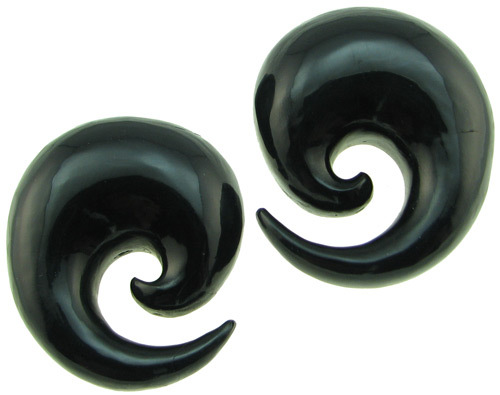 Compact Horn Spiral gauge earrings are an all-time favorite! 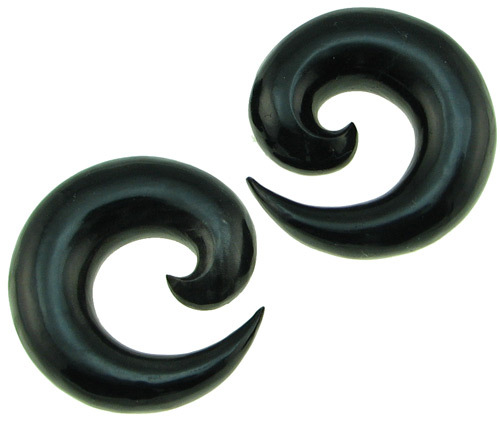 They are light weight, comfortable, unique and eye-catching. 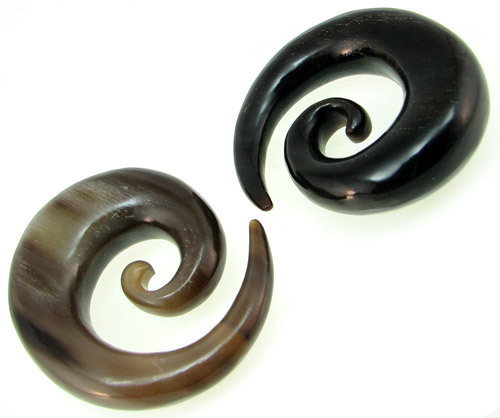 These handmade water buffalo horn taper spirals were carved in Bali, Indonesia from natural material. Some variation (such as color, texture, size, etc.) is present from piece to piece. 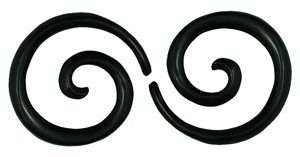 Actual size of spirals may vary up to approx. one half size from size listed. 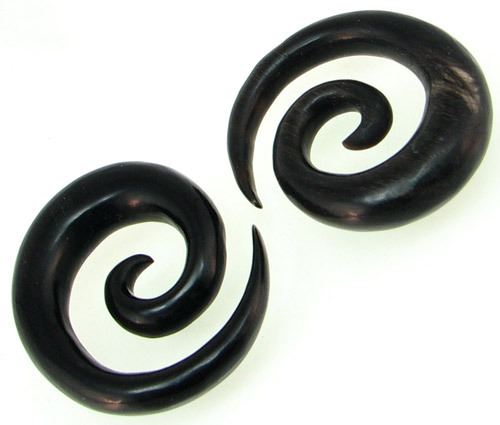 For example, if you select a 6 gauge pair of spirals, the actual size may be smaller than 6 gauge but bigger than 7 gauge. 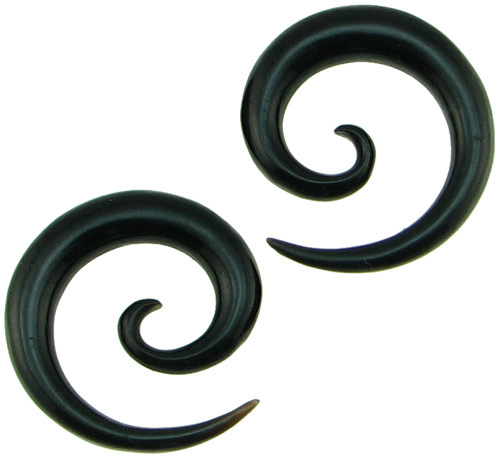 5 gauge (+$4.00) 4 gauge (+$6.00) 9/16 inch (+$26.00) 1 inch (+$126.00) Select your gauge or fractional inch size and click "Add to Cart".